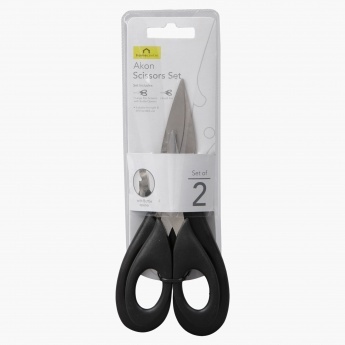 Save BHD 2 (51.28%) – Earn 2 Shukrans What is Shukran? Shukran is the Landmark Group’s award-winning loyalty programme in the Middle East, which allows you to earn Shukrans when you shop any of our brands. 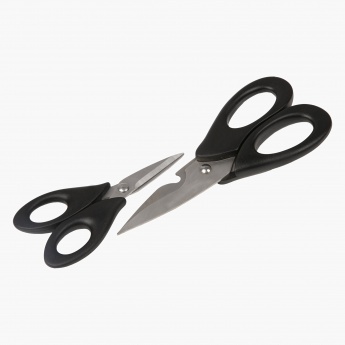 Just the right pick for your kitchen, this set of two scissors is modern and trendy. 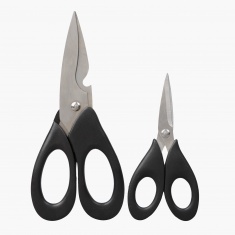 Featuring a sharp blade which never needs sharpening, these scissors will help you enjoy your cooking activities.